You never know what you are going to come across walking around Indonesia. 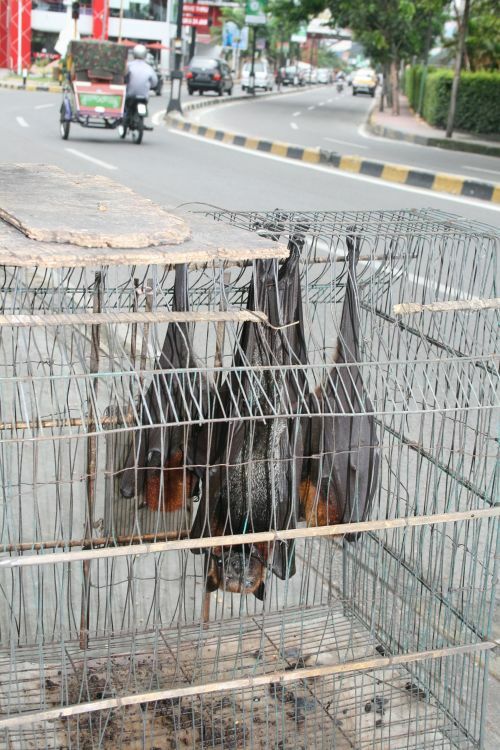 Today it was some bats being sold by the road side. My first thought was maybe for a pet, but then I remembered bat being something of a delicacy in Indonesia. Oh my :p Didn’t imagine either they were meant for eating. Did you try? How’s the taste?